Cedarville University Archives and Special Collections is an institutional service of the Centennial Library. 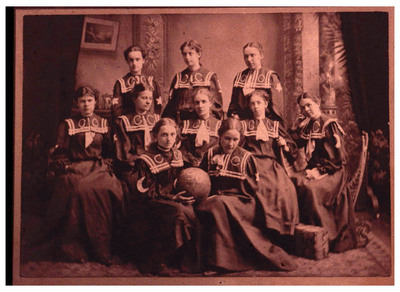 It serves as the official repository for materials of historical significance to Cedarville University, including organizational and operational documents, materials which depict University life, and appropriate personal publications, papers, and memorabilia. 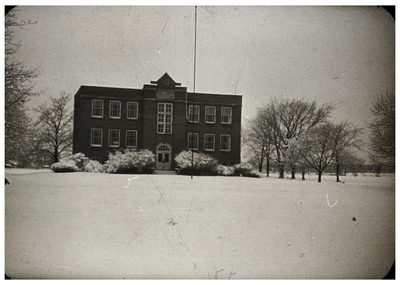 Cedarville College was established on January 26, 1887, through the vision of five godly men who dreamed of a college that would provide Christian students with an education that was offered within a spiritual framework. Affiliated with the Reformed Presbyterian Church, the College attracted many local students and built its first building, now known as “Founders Hall,” in 1895. Soon, Cedarville attracted a growing number of students and gained a reputation not only for its Bible teaching but also for its liberal arts program. 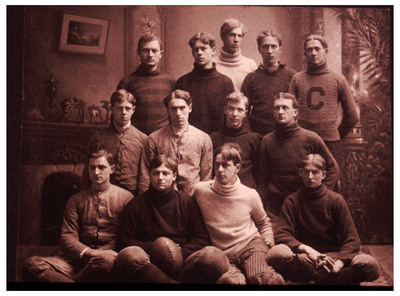 The turbulence of the first 50 years of the 20th century led to hard times for the College. After multiple attempts at revitalization, the trustees realized the school was no longer sustainable. The College would have to find another school with which to merge, another denomination to assume its operation, or close its doors. At that time the trustees of the Baptist Bible Institute of Cleveland, Ohio, were seeking a campus on which to expand. Hearing of Cedarville College, they visited the campus and were convinced that Cedarville was the site that God had chosen for their school. Upon agreement by both trustee boards, ownership of the College was transferred on April 4, 1953. Cedarville College became a Baptist college of arts and sciences. James T. Jeremiah, the pastor who first suggested the Baptist Bible Institute-Cedarville College connection, was called to be the College’s President. Soon the College was alive and flourishing. By 1959, enrollment had grown to 255. Faculty, staff, and facilities were added. Six years later the student body had nearly tripled to 763. By the end of Dr. Jeremiah’s 25-year tenure as president in 1978, the College’s enrollment had grown to more than 1,200 students. Paul Dixon was then called to lead Cedarville College. Through his leadership, the College continued to flourish in every area, and by the end of his tenure in 2003, there were nearly 3,000 students, more than 100 programs of study, and many new facilities. In April of 2000, the Board of Trustees voted to change the designation of the institution. Effective September 1, 2000, Cedarville College became Cedarville University. William Brown took the helm of the institution in October 2003 poised to advance it forward into the next century. He did so through an expressed focus on training students to effectively engage the culture around them by thinking critically and serving compassionately. Although much has changed since Cedarville’s founding, the mission of the University has remained unchanged: to be a “Christ-centered learning community equipping students for lifelong leadership and service through an education marked by excellence and grounded in biblical truth.” As a result, Cedarville has uniquely advanced liberal arts and professional programs alongside a conservative theological position. The faculty continues to be comprised solely of dedicated Christian professors who integrate the knowledge of their respective fields with key biblical perspectives. 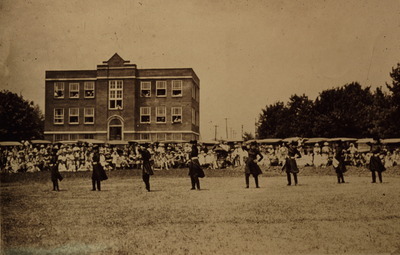 The University celebrated its 125th year of service in 2012 as it launched new online graduate programs, opened the Health Sciences Center, and joined the NCAA Division II. In 2013, William Brown concluded a decade of ministry and Thomas White became the 10th President in July.